As the largest luxury retailer in the Chinese market, staying ahead of trends in fashion is imperative to MEI’s success. Or as CEO Thibault Villet puts it: "If you don’t innovate, you die." Their mission? "To inspire individuals with a luxury lifestyle." MEI.COM turns over more than US $150 million in sales through its platform, selling thousands of luxury goods every month from over 2 400 international lifestyle brands. But how do the images of all these products get online in time? Every day 20-30 brands are added to MEI.COM’s platform. That’s around 1000 SKUs to upload daily. So to get these visuals in front of customers, a fast, simple, innovative content production process must be created. But most importantly, it must be efficient. And that’s exactly where StyleShoots technology enters the frame. 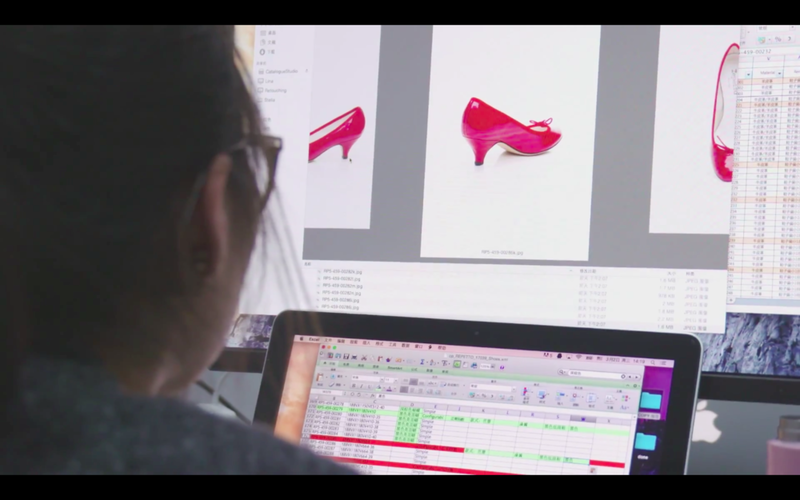 Read on or view the video above to see how MEI.COM overhauled their fashion content production process. "Our vision is to turn MEI.COM into the largest platform of luxury goods ever seen"
Having recently been enveloped into the Alibaba ecosystem, MEI.COM needed to find a way of scaling up their fashion content production efforts in a way that allows them to do what they do best - sell clothes from the leading luxury designers in the world. This means that not only is speed a factor in making sure they are ahead of the most recent, hard-hitting trends, they need to ‘treat every brand with quality and consistency’. Through using StyleShoots photography machines, they can achieve a level of rapid, high quality consistency in all their imaging. "We treat every brand that we partner with with the same consistent quality and attention to detail"
Accurate, true-to-life colour representation of MEI's luxury products is guaranteed because StyleShoots machines have built-in Rotolight® LED lighting, while a Canon® EOS 5D Mark III captures an unparalleled level of detail. StyleShoots' Auto Alpha™ technology then scans millions of pixels to cut-out a perfect background-less image for use in any of MEI.COM's visuals. All this can be done by a single stylist - controlling all aspects of the machine and previewing their shot in real-time with the included iPad™. All that's needed is a coherent brand style guide for any of MEI's stylists to manipulate the fabric in order to create a beautiful, consistent look. Consistency and quality in photography becomes vital to retailers as they scale up. If each image isn’t treated to the same brand style and quality, the visuals on the website will begin to become 'mismatched'. This is a crucial part of MEI.COM’s decision to implement StyleShoots machines - they maintain a world class level of consistency across every image. In turn this makes it easier to style their products in a manner that allows their customers to more accurately compare and visualize the luxury goods offered on MEI's platform. And of course, with thousands of luxury brands that need to be treated in the same fashion, MEI didn't hesitate to incorporate 6 StyleShoots Vertical systems into their studio. Having 6 StyleShoots Vertical machines to handle their mannequin photography means the luxury goods sold in their flash sales can be photographed and sent to post-production in a matter of minutes. "We only need to press one button before an image is created…and the work of cutting out backgrounds is gone." added Seven Chen, Catalogue Studio Manager, speaking about the machines' speed. Such speed allows MEI.COM's teams of stylists, editors and photographers of all levels to have a greater sense of control and quality over how they present looks and products - at a rapid pace. Creating content targeted toward the fashion-minded with some of the world’s biggest brands requires complete collaboration between editors, stylists and photographers - not to mention the ability to shoot huge quantities of products sold in their flash sales. To get this content shot and uploaded smoothly, articles of clothing are shot using StyleShoots Vertical after being professionally steamed and ironed in MEI.COM's busy studio. 6 StyleShoots Vertical machines are used to power MEI’s efforts, covering over 75% of their photography production. "StyleShoots machines help us with two things - one is speed, the other is consistency of quality. The product images only need minimal post-production before they are uploaded"
In the next 5 years, MEI.COM aims to be not only the largest luxury ecommerce site in China, but the world. To achieve this, innovation is crucial - especially in a market landscape where attitudes change the next big piece of disruptive technology is right around the corner. Luckily for MEI, CEO & Co-Founder Thibault Villet has instilled a corporate culture emphasising the free flow of ideas and a talented team empowered to act on the latest trends and innovations - not only in fashion, but in technology. To act on these trends, innovative technology such as StyleShoots must assist in helping brands speak to changing needs and aspirations rapidly, and simply. "Chinese customers are evolving very fast...now they are much more emotion driven." said CEO Thibault Villet when speaking on the need for innovating in the rapidly changing Chinese market. "Therefore we have to answer these questions and these needs [in] the content we create." "The spirit, especially here in China is either you innovate - or you die." "We call this an evolution of product photography, and we are very lucky to be part of this wave to industrialize our photography process." As the leading Luxury & Fashion Flash Sales website in Asia, MEI.COM (formerly known as Glamour Sales) entered into the China market in April 2010. They are committed to selling authentic luxury products with attractive discounts to their 'smart shoppers'. To date, Mei.com has established official partnerships with over 2,400 international luxury, fashion, beauty and lifestyle brands. Daily flash sales begins each morning at 9am. All MEI.COM's products are highly curated by their team of fashion and beauty experts who strive to deliver a first class luxury shopping experience.